Peter Barry is well established firm of estate agents in Arnos Grove, with over 30 years’ experience helping people buy and sell properties in the local area. Our growing lettings department opened in 2007, allowing us to offer a comprehensive service for buyers, sellers, landlords and tenants. We have a wealth of knowledge about the local area, and our experienced team would be happy to assist with your property search. Currently we have a good selection of homes for sale and to let in Arnos Grove, so whether you’re looking for a bijou apartment or a 4-bedroom house, we’re confident we can find your perfect home. We also keep an up to date list of the best buyers and prospective tenants searching for a home in the area, so if you are looking to put your property on the market, we can make the process quick and easy. Arnos Grove is a peaceful and sought after residential area in the southwest corner of the London Borough of Enfield. The area sits between Bounds Green and and Southgate at the western end of Bowes Road. People living here have access to a good selection of amenities, including cafes, restaurants, supermarkets, shops and pubs. There is a local swimming pool, a public library, and the sweeping lawns of Arnos Park, a remnant of the historic Arnos Grove Estate, which dates back to the 14th century. Until the 1930s the area was largely undeveloped and rural. The majority of the property was developed following the opening of the tube station in 1932, although many of the new houses were damaged during World War II. The area’s close proximity to the North Circular (built 1929), along with the addition of the tube station, made Arnos Grove a desirable place to live. During the 1950s and 1960s, sites damaged during the war were redeveloped, primarily with social housing projects. Any remaining space was used up in the most recent property boom. The resulting properties were mostly sold to commuters, or investors, looking to take advantage of the relatively quick commuting time to Central London. Over the last 12 months, sales in the area have mainly comprised of flats and terraced homes. On average, properties in the area have benefitted from almost a 0.8% increase in value over the last year, compared to nearby Whetstone (only seeing 0.25% increase) and East Barnet, where homes have dropped slightly in value (-0.59%). In which borough is Arnos Grove? It is located in the southwest corner of the Borough of Enfield in London. What Zone is Arnos Grove in? The tube station is in Travelcard Zone 4, and is served by the Piccadilly line. Can I commute from Arnos Grove? The North Circular runs just to the south of the area, and the M25 is approximately 7 miles away. For central London, Kings Cross is accessible via the Piccadilly line in around 30 minutes, while reaching Victoria takes slightly less time by switching to the Victoria line at Finsbury Park. How far is Arnos Grove to Heathrow? Heathrow Airport is approximately 45 minutes away by car. If you wish to reach the airport by public transport, the Piccadilly line will take around an hour and fifteen minutes without changes, although slightly faster routes (around an hour) are available if you switch service. How safe is Arnos Grove? Arnos Grove is considered a quiet and safe place to live, nestled between two of the statistically safest boroughs in London. The area is leafy and suburban, while remaining well connected to the centre of Enfield and the centre of London. 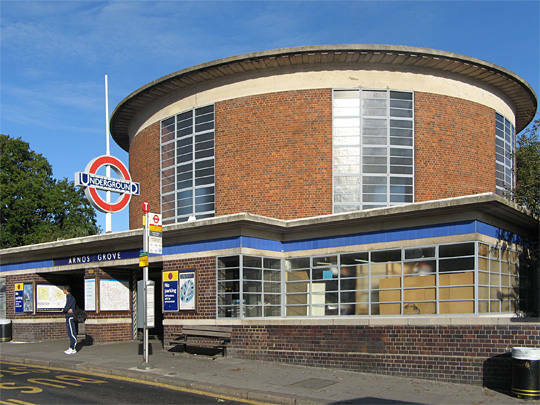 Your nearest underground stop is Arnos Grove tube station, connecting you to the Piccadilly line. Peak times are between 8:00-8:30 on weekday mornings, and station facilities include a waiting room, pay phones, WiFi access and a car park with 351 spaces. Several bus routes run through the area, including the N91 night bus. You can enjoy dining options to suit every taste. For traditional chip suppers, we recommend local favourite, The Mariner Fish Bar – just opposite the tube station. Or, on a summery weekend, why not wander over to the volunteer-run Palmers Greenery Community Café, in the heart of Broomfield park? 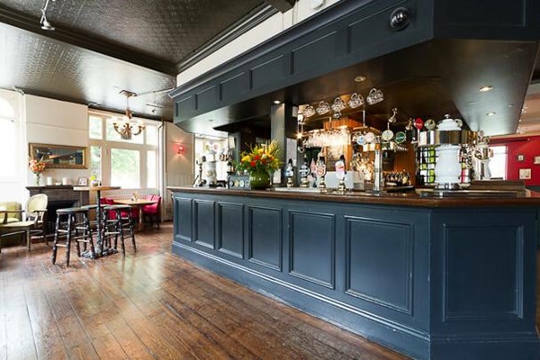 For evening meals, The Ranelagh on Bounds Green Road serves a delicious pub menu and craft beer, while Spice Gate provide authentic Indian dishes on Friern Barnet Road. The best Italian cuisine can be found at Pasticcio, on Cannon Hill, which also offers an extensive wine list - perfect for a satisfying lunch or romantic dinner. Grocery shops include the family-run Despina Foods market, and the community also has Sainsbury’s, Tesco and M&S food outlets. Finding the right estate agent to represent you and your home is the first step in buying, selling, letting or renting. At Peter Barry, we pride ourselves on our professional experience, personable service and excellent reputation, and are happy to be your local estate agents.